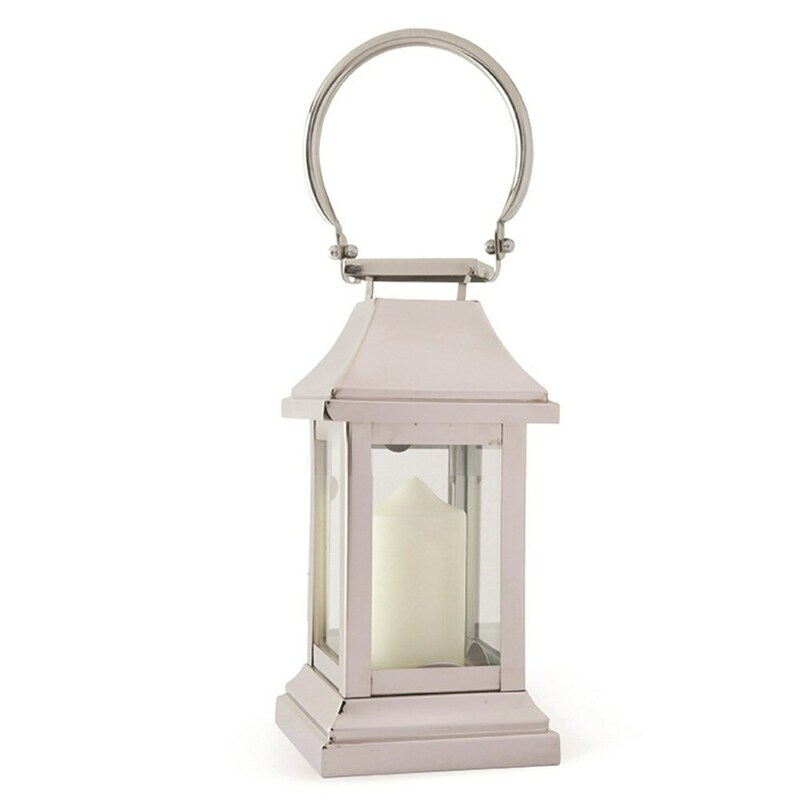 Enjoy cosy candlelit evenings in the open air with this contemporary glass lantern. Hang from a wall-mounted hook, a shepherd’s crook, or simply stand on the garden table to light up al fresco dinners. Made from glass and nickel-plated stainless steel. Please note: designed for use ONLY with 75 x 50mm candles. Use only one candle per lantern.